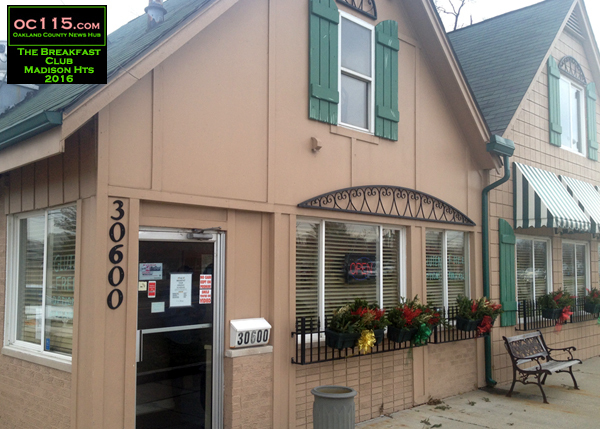 Madison Heights, MI – The Breakfast Club in Madison Heights the perfect kind of restaurant for a writer like me, and I think oc115 readers would like it too. It’s got fantastic creative breakfast food in a non-pretentious, but sunshiny and upbeat environment. Located at 30300 John R. (between 12 and 13 Mile Roads) it is easy to get to and they stay open late enough that a loner like me can miss the breakfast and lunch crowds and simply enjoy some writing time. But it can get busy at peak times and weekends. Current hours are 7am to 2pm. I’ve been there twice and absolutely will be back. 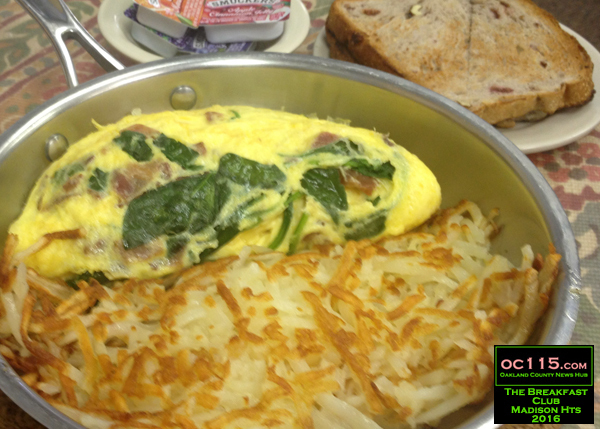 My first visit was around Christmas and I had a house specialty – Kelly’s Favorite Omelet. It was stuffed with fresh spinach, smokehouse bacon and Gruyere cheese. I think it would be one of my favorites too. But there are a few good omelet choices, including wild mushroom, smoked salmon, vegetarian, and Penny’s Favorite which has spinach, tomato, black olive, light cheddar, avocado and pico de gallo. This visit ended with a sugar cookie brought with my receipt. My second visit was about a week ago. This time I really needed to power up so I went for the crab cake Benedict. This was another good choice. The only thing I would have preferred was it to be on an English muffin instead of on English muffin bread. It was good, but lacked the lightness of the nooks and crannies of the traditional muffin. However the meal was delicious, with flavorful crab cakes and high quality eggs. 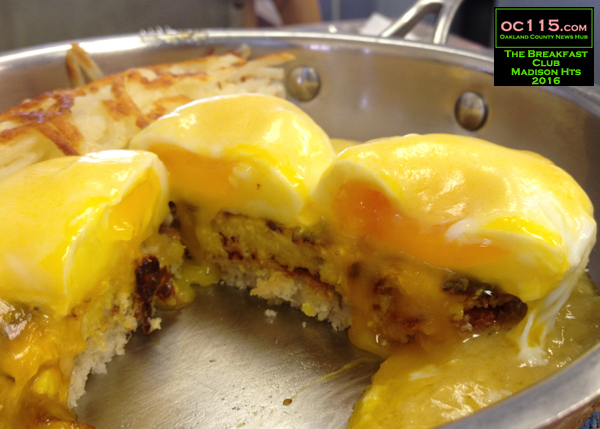 The Breakfast Club offers tomatoes au gratin or hash browns. Both times I opted for potatoes over tomatoes, and the hash browns were quite yummy. There are many sweet options as well including crème brulee French toast, a specialty breakfast tart, cheese blintzes, and several pancake choices including multi grain and sticky cakes covered with toffee chips, toasted coconut and salted pecans. 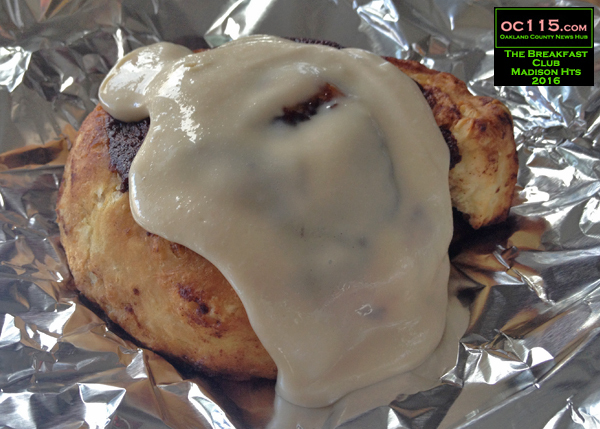 I got a cinnamon roll to go, which came with orange crème cheese frosting. Oh yeah, it was delicious. Both meals were served in a metal pan instead of a plate, which is also a neat little quirk of the place. 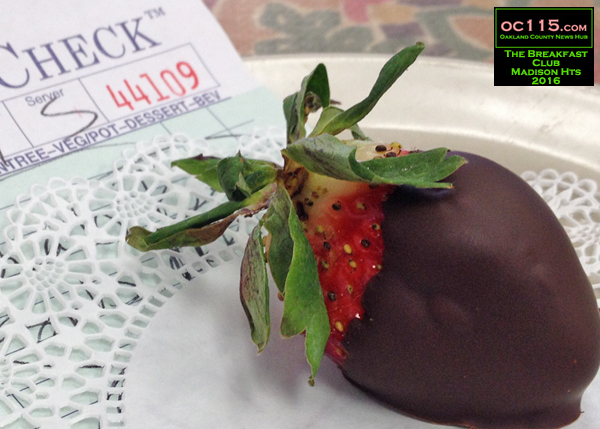 And having my receipt come with a chocolate covered strawberry was a great way to end the meal. There is a full lunch menu that I’ve not yet begun to explore, complete with soups, salads and sandwiches. There is a kids menu and there are gluten free options as well. 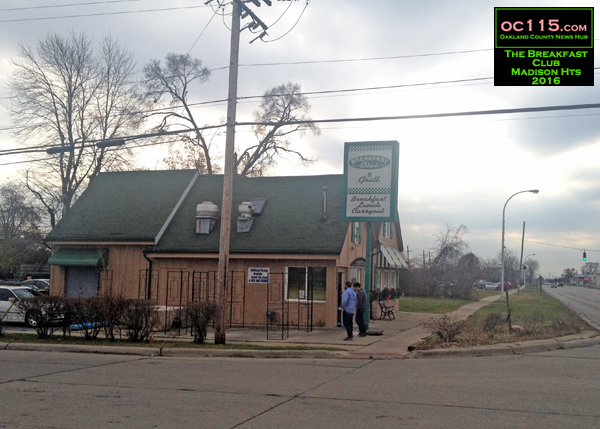 For more stories about Madison Heights go to http://oaklandcounty115.com/category/news-by-city/madison-hts/.